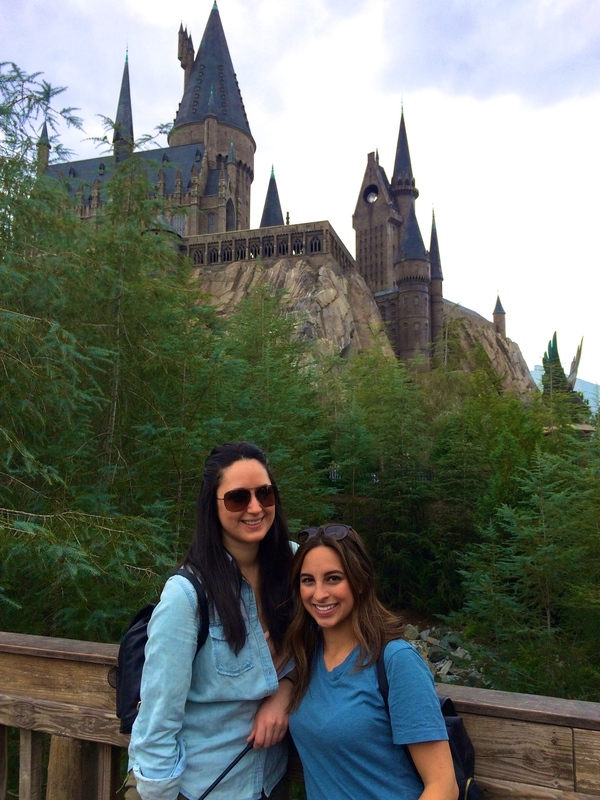 Here we go with the final installment of the Ultimate Harry Potter World Travel Guide! This time, I’ll dive into the Hogwarts and Hogsmeade part of the park, which is located in the Islands of Adventure part of the theme park. If you want a great view of Hogwarts castle when you come to the park, make a left when you walk into Islands of Adventure towards the Marvel area/Toon area/Jurassic Park area because you are going to see the majestic castle over a lovely bridge and through the trees. It is so beautiful and worth stopping to take a picture. It is just after the Jurassic Park area if you are traveling that way. Going the opposite way when you get in the park is fine too; I just prefer the picturesque view of the castle! I pretty much almost cried when I saw the magical castle (ok, not really...) because I felt like I was actually there. There are quite a few rides in this area (different from Diagon Alley, which only has 1 major ride); so if you like roller coasters, you will definitely like this part of the park. 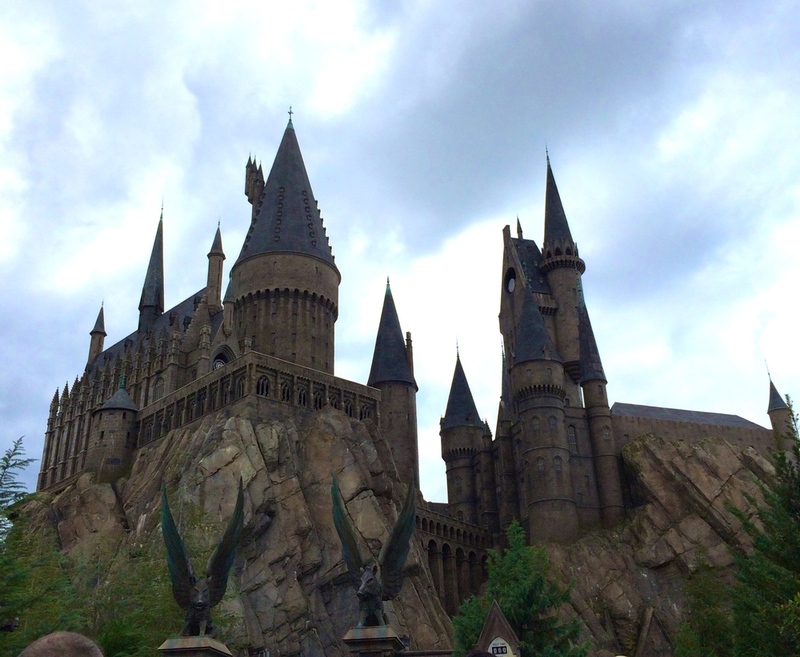 · There is an amazing ride inside Hogwarts that you cannot miss if you come here. My friend and I probably rode it at least 15 times in the weekend we were there because we loved it so much. If you don’t have an Express Pass, try hopping in the single riders line the first time you go on the ride. HOWEVER (this is the only exception), I absolutely suggest going through the regular line as well because you will get an inside walk through of Hogwarts. 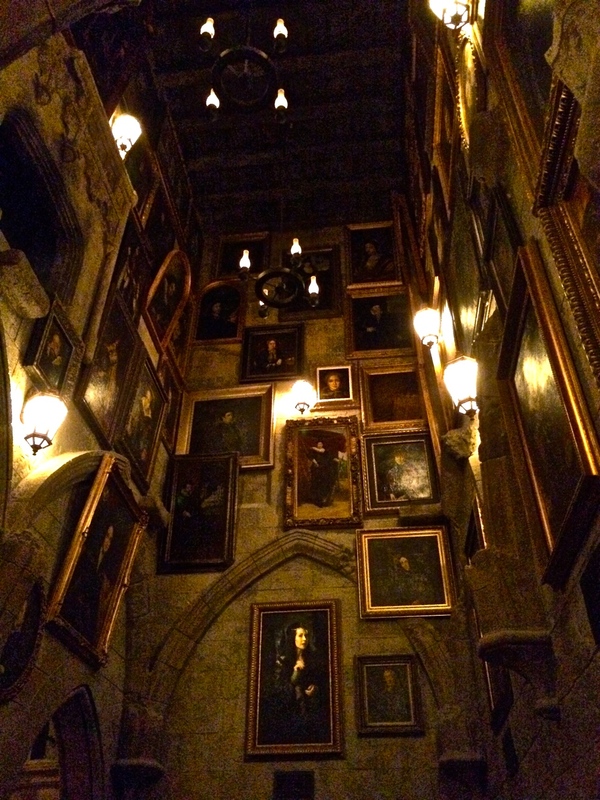 You get to see the Greenhouse, Hall of Portraits, Gryffindor Common Room, Dumbledore’s Office, The Grand Hall, The Sorting Hat, holograms of Dumbledore and some of the other characters, and more! It is the only time I am going to suggest waiting in the regular line just because they make it so cool to be inside! 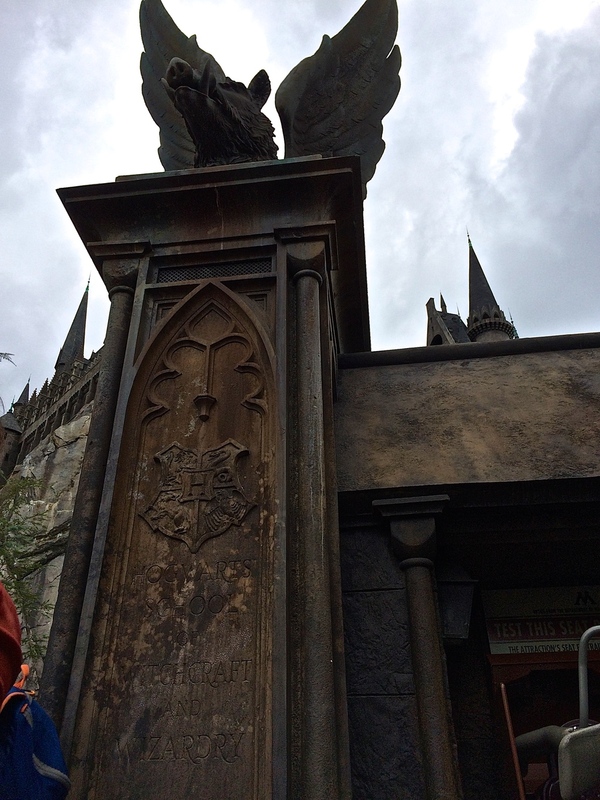 · Hagrid’s home is also a location of another smaller roller coaster. It isn’t a massive roller coaster, but it is still worth trying once. Here you will see Hagrid’s home and Buckbeak lounging near his home in his nest. · The Dragon Challenge Ride is one of my favorite roller coasters in the park. 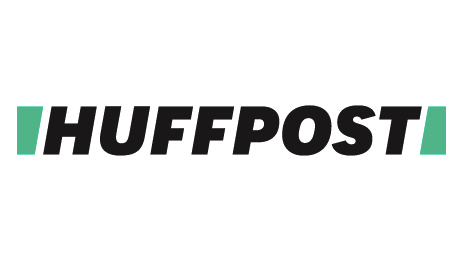 The theme here is centered on the Goblet of Fire. You will even see the goblet when you walk into the ride! Keep your eyes out for the Weasley’s blue car (as seen in Chamber of Secrets) on the path towards the roller coaster. Hogsmeade makes you feel transported in a nostalgic way because you’re standing in the middle of sunny, warm Orlando, Florida, but all of the buildings in the village have snow on the rooftops and there is a lovely holiday feel in the air. There are places to shop, eat, and enjoy people watching. · Step into all of the unique boutiques around the village to see what they have to offer. My personal favorite of Hogsmeade is Honeydukes, which is famous for all their sweet delicious treats. 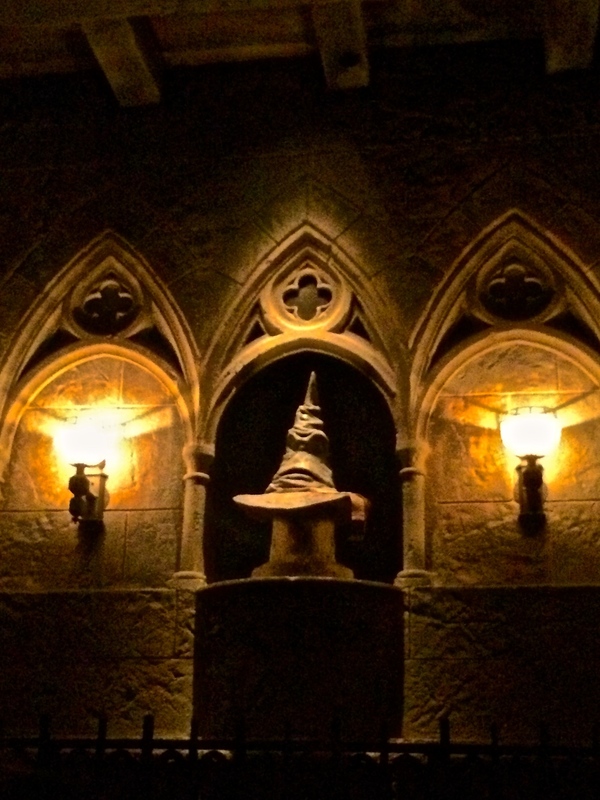 · The Three Broomsticks and Hog’s Head are 2 great places to grab a bite to eat and a drink. Both serve alcohol too if you’re over 21 and looking to have a drink. 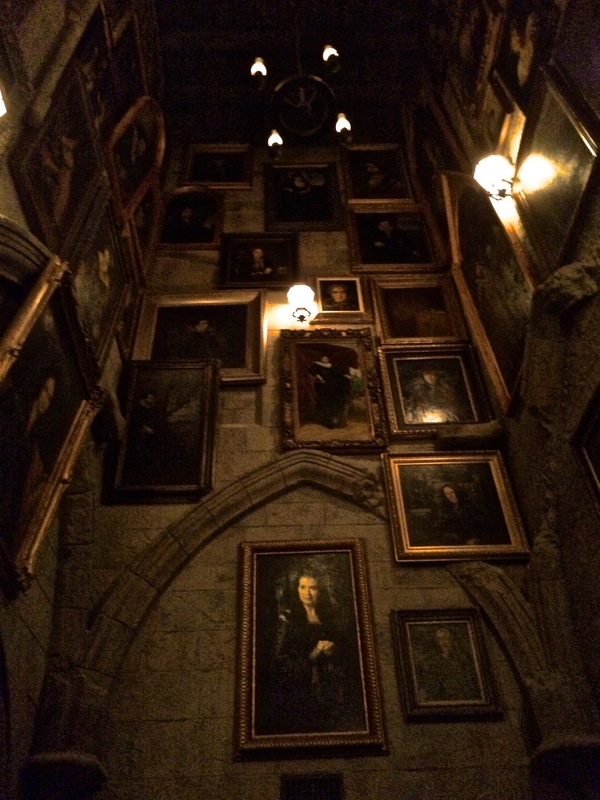 · Hear Moaning Myrtle’s cries in the bathrooms to the right of the Three Broomsticks. 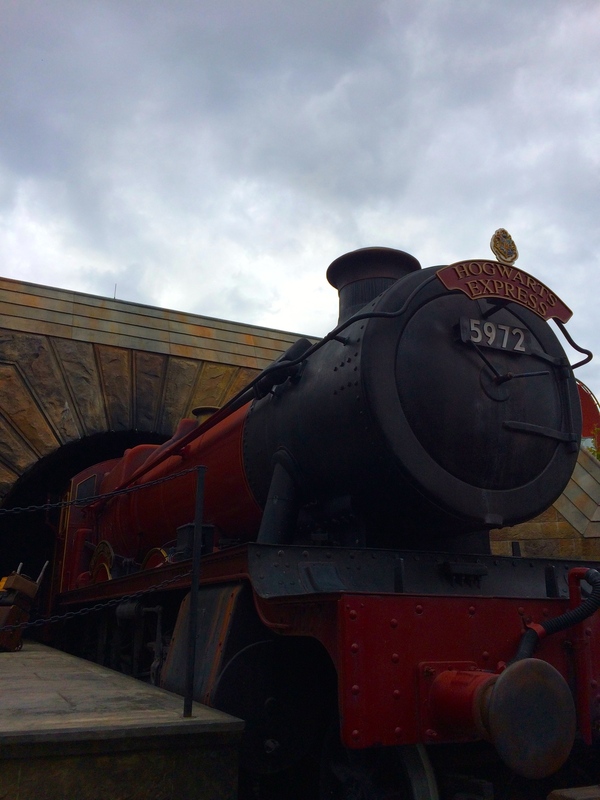 · If you have a park hopper pass, you can also board the Hogwarts Express here to go back to Diagon Alley. 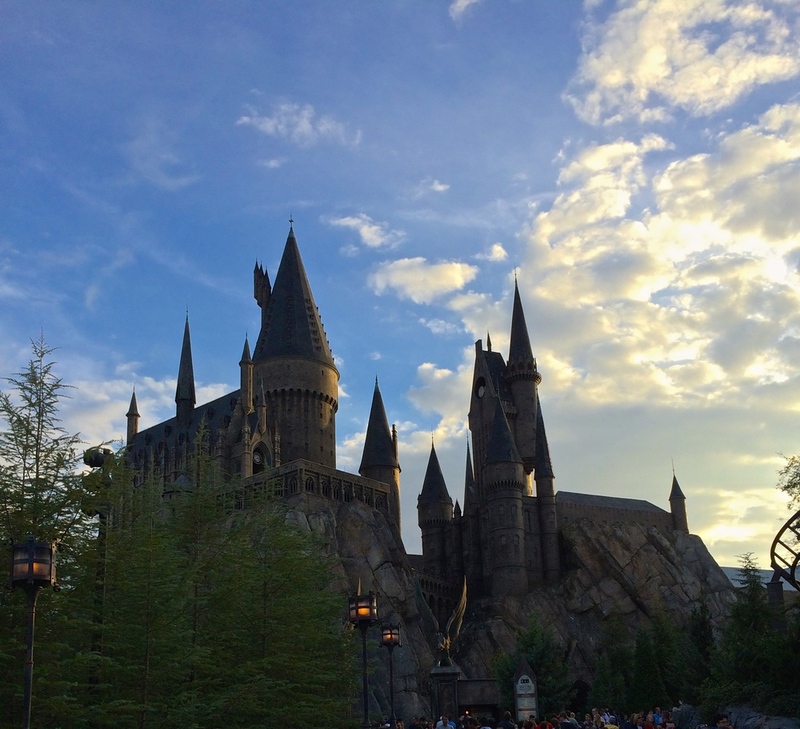 Whether you’re lucky enough to spend a few days in the Wizarding World of Harry Potter or you’re just there for the day, remember to have a magical time! It is all about escaping to this enchanted world, so have fun with it! Mischief Managed! Click Here for a guide on how to make your trip the best! 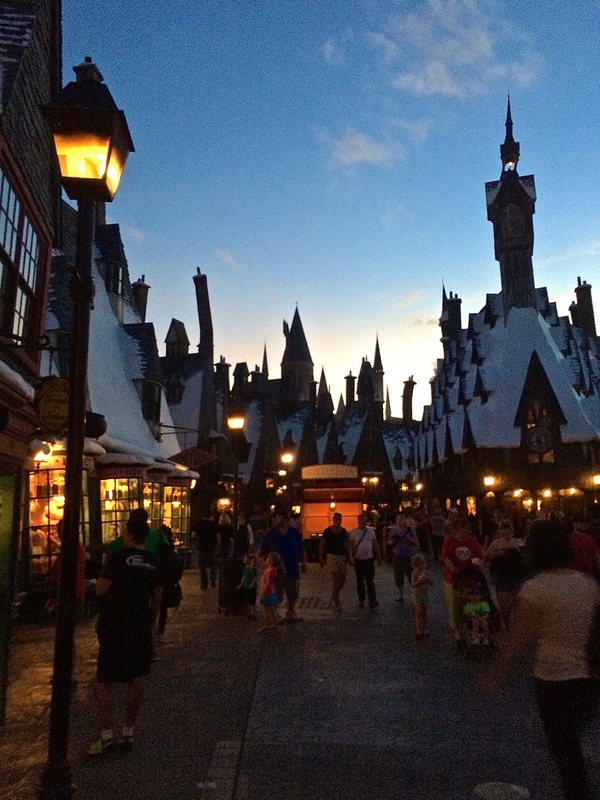 Click Here for a guide on Diagon Alley!